B. B. Dougherty displayed great energy and vision in 1899 when he established a training institute for the preparation of teachers. His legacy is the remarkable and exemplary accomplishments of our alumni. 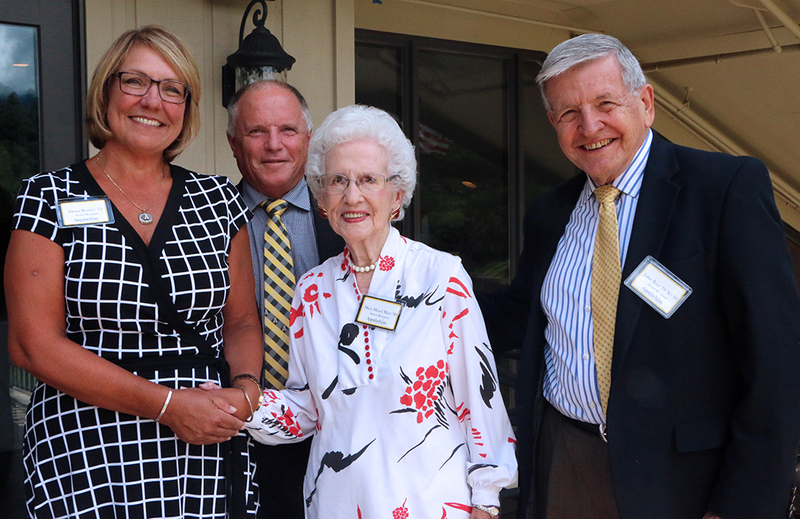 To recognize these distinguished alumni, the Reich College of Education established the Rhododendron Society in 1999, Appalachian State University's centennial year. New members are inducted each year at the Black and Gold Reunion luncheon. The Rhododendron Society recognizes graduates of Appalachian whose service as teachers, librarians, human service professionals or administrators has reflected great credit on themselves, the field of education and the University. The symbol of the rhododendron was selected because it is native to our state and blooms profusely on and around campus. The symbol also is particularly significant for Appalachian because for years, the yearbook of the university was called The Rhododendron, and within its pages were captured the many historical moments, activities, and accomplishments of Appalachian students. Because the Reich College of Education wishes to celebrate alumni accomplishments and contributions, the Rhododendron Society will carry on the tradition. Read the full story to learn more about the 2018 inductees.